We like to think that we’re a pretty great money-saving alternative to your current phone company. Just look at all the features we’ve got. Voicemail BoxAllows you to access and manage your voicemail, and to specify settings on the phone and online. Caller IDWhen receiving a call, see the name and number of the caller on your phone’s display, and vice versa. Call ForwardingCan be used to forward calls from your current extension to any other telephone number. 3-Way CallingAdd a 3rd party during a call, allowing you to talk to multiple people in separate locations. Call ReturnWhen you miss a call, get the details of the caller and telephone number of the last received call. Call HuntThis feature allows to you to create a "hunt group" to locate you at various numbers, based on order of preference. Do Not DisturbAllows you to send callers directly to voicemail when you don't feel like taking the call. Detail RecordsAllows you to manage your phone activities online, using this comprehensive overview of all calls placed and received. Caller ID BlockWhen placing a call, block your name and number from appearing on the recipient’s call display. Free Acanac-to-Acanac CallingAll Acanac customers can call each other for free, anywhere in the world. Connect your Digital Home Phone ATA to a High Speed Internet connection, and talk to each other for free. Call WaitingIf you are already on the phone, a beep will notify you that you are receiving another call. Web Access and ManagementMany of the features on your Acanac phone can be accessed and managed online, offering a convenient way to control your Acanac phone experience. From where we’re standing, home phone is hip again. Now hear us out, here. No drops in service bars, crystal clear clarity, and you’ll make mom happy when she wants to get a hold of you and you’re ignoring her text messages. Call anywhere, anytime, anyduration (we made that last one up). 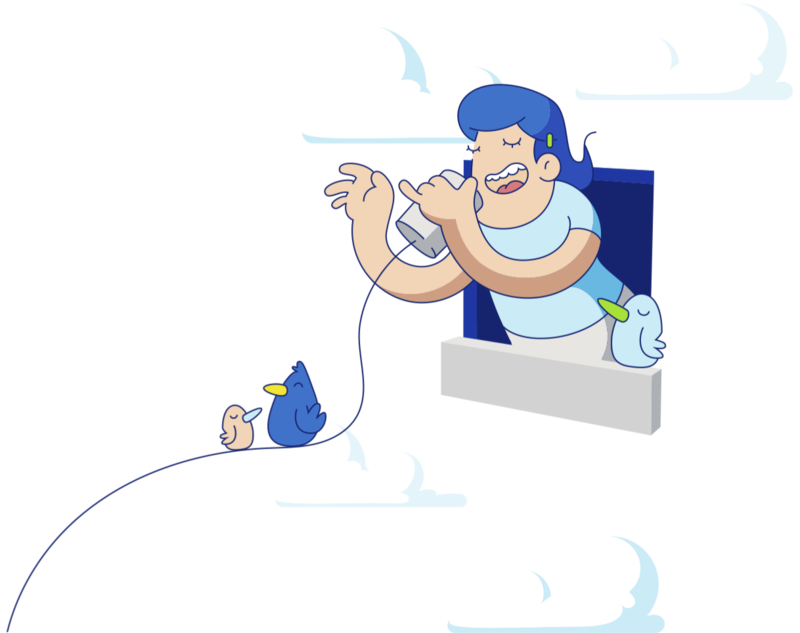 Call literally anwhere in the US and Canada at one flat monthly rate, so you can call to Heart’s Content, in Newfoundland, really. Look it up, we dare you. The 911 service provided by Acanac differs in a number of important ways from traditional 911 or Enhanced 911 (E911) dialling available with most traditional telephone services and has specific limitations relative to E911. Please read our terms and conditions for more details. *All plans are due up front. Unlimited calling is available to selected areas only. Some charges may apply to different parts of Canada and the United states. Please find our full list of International Rates. If you have any questions don't hesitate to call us at 1-866-281-3538. Shipping charges of $10 may apply.